Jay Zip Cushions are comfy wheelchair cushions designed just for kids. It's made with materials to withstand the spills and messes that come with childhood exploration. The foam is protected with a water-resistant inner cover that stretches without puncturing the material to always protect the foam base from fluids. 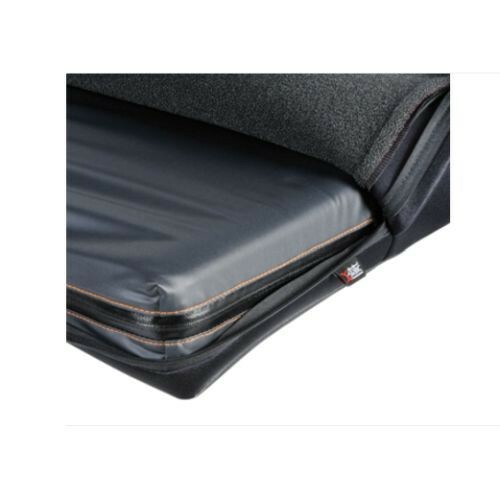 The seam thread is anti-wicking and the zipper has a Dartex coated Lycra with Aquaguard™ to resist moisture adding extra protection to the foam base. The outer cover is made with integrated Silver-impregnated X-static fibers for its anti-microbial properties. When needing to freshen up the Jay Zip Cushion simply unzip the outer cover and remove the cushion within inner cover. Wipe off and toss the outer cover into the washing machine. 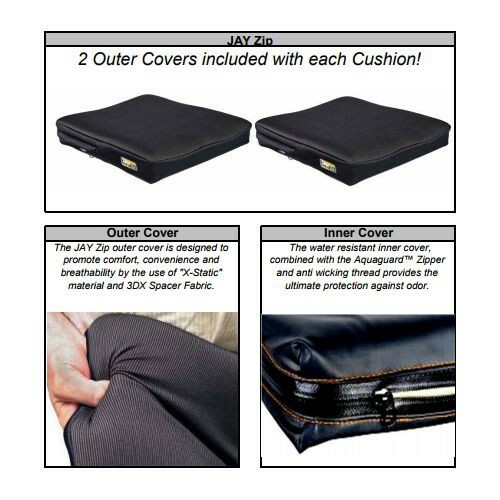 Since messes are bound to happen, every Jay Zip Cushion comes with two outer covers to always have one ready to go. The outer cover has a layer of reticulated foam to allow for air movement so heat doesn't build up. 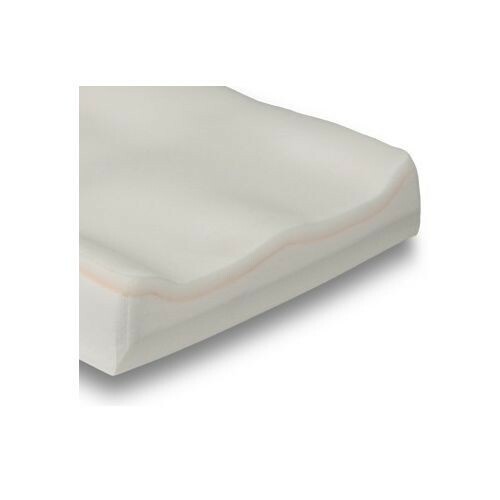 The dual-layered contoured foam offers structural support and comfort. 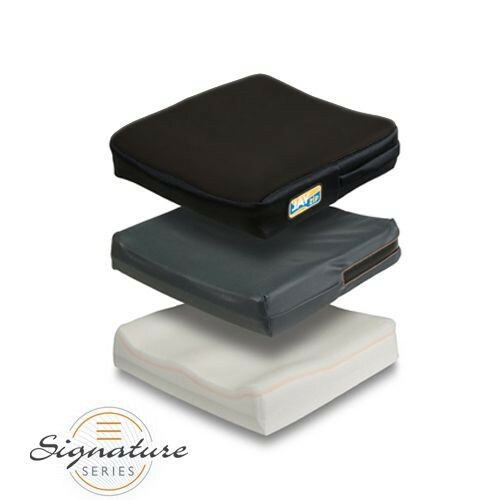 Sunrise medical constructs the foam base increased firmness as the cushion's width increases. Sunrise Medical makes several wheelchair cushions, including the Jay GS, Jay Basic, Jay J2 and the Jay Ion.